NEW YORK - A man embroiled in a custody suit threw his 3-year-old son from a Manhattan apartment building Sunday and then jumped to his own death, police said. Authorities said they received an emergency call reporting two jumpers from the 52-floor building on the Upper West Side around noon. Officers responding to the scene found the man and the child on the rooftops of two separate nearby buildings. The man, identified as Dmitriy Kanarikov, 35, was pronounced dead at the scene. 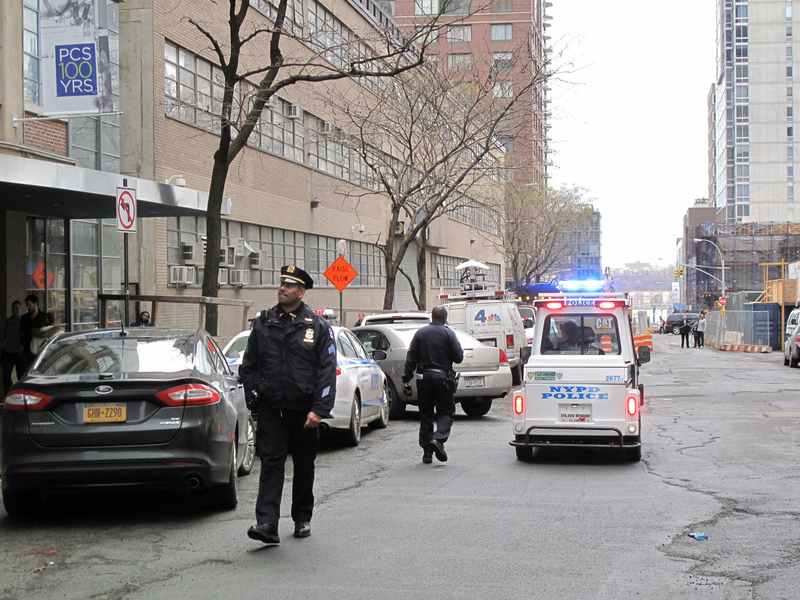 The child, Kyrill Kanarikov, was rushed to nearby St. Luke's-Roosevelt Hospital, police said. "Measures were taken to try to save the boy immediately, being so close to where it happened. However, he died in the emergency room," hospital spokesman Donald Maxton told CBS New York. Kanarikov was involved in a custody dispute with the boy's mother, who had legal custody. Kanarikov had visiting rights and was supposed to turn Kyrill over to the mother at a police precinct Sunday afternoon. Authorities said the father did not live in the building, listed as South Park Tower. It is a short distance away from Columbus Circle and Lincoln Center. It was not clear how Kanarikov got into the building. "I've lived here seven years," one resident of the tower told CBS Radio station 1010 WINS. "I’ve never heard anything at all like that."